In a tough operating environment, our people must challenge the status quo continuously to add value, promote the brand and stay ahead of competitors. We renewed our focus on training and development during the year, with additional training facilities made available to operators and management. 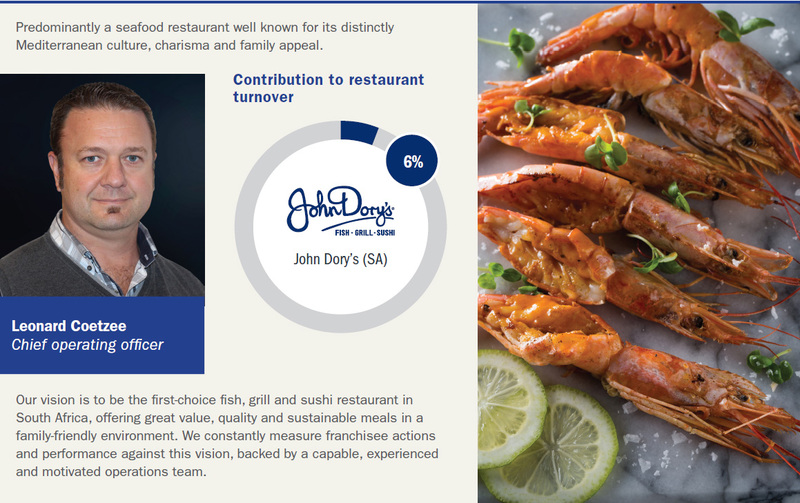 We also completed a SWOT analysis at every John Dory’s restaurant. 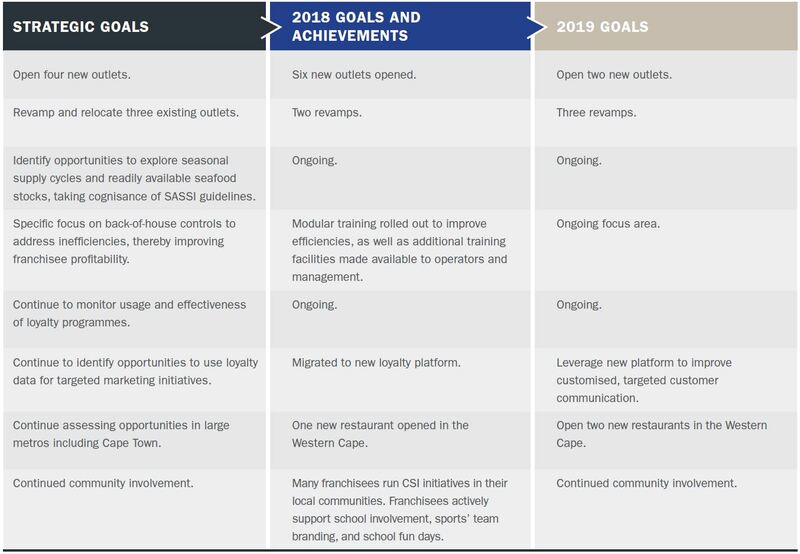 This will better enable operations managers to provide franchisees with specific guidance on how to mitigate risks and improve overall standards. 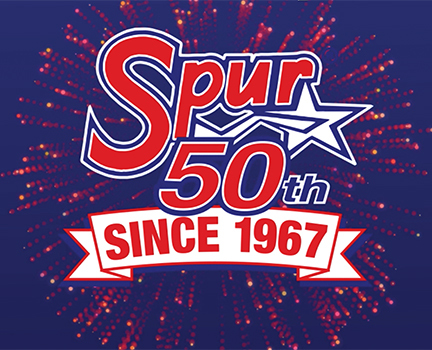 We prioritised the identification of local marketing and sponsorship opportunities to galvanise franchisees, ramp up brand visibility and increase foot traffic to our restaurants. We added Mr Delivery and Uber Eats delivery services to our portfolio, as we recognise that online ordering is a significant potential growth area among millennials and younger customers. 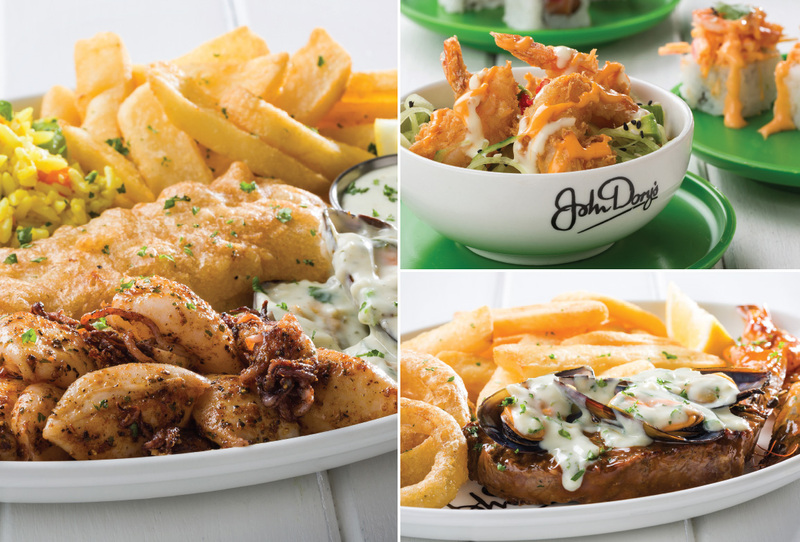 The John Dory’s loyalty programme remains critical. 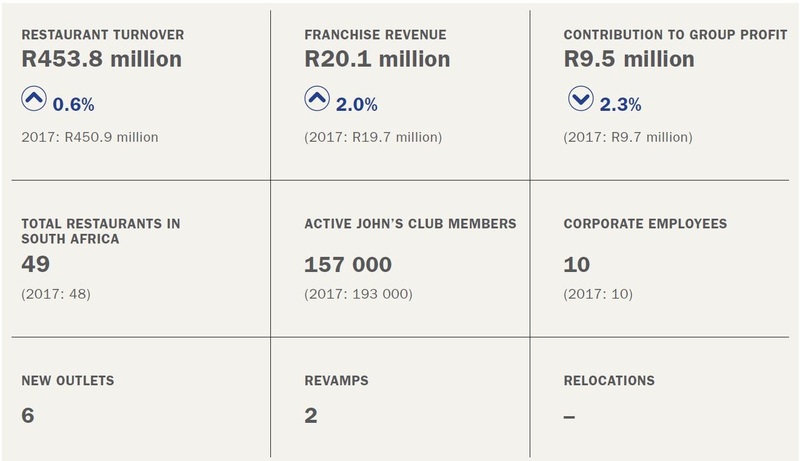 We launched the John’s Club app in June 2018, providing a seamless in-restaurant customer experience. We reverted to making certain products in-house. This includes our homemade sauces and other popular menu items, such as ribs and crumbed chicken. 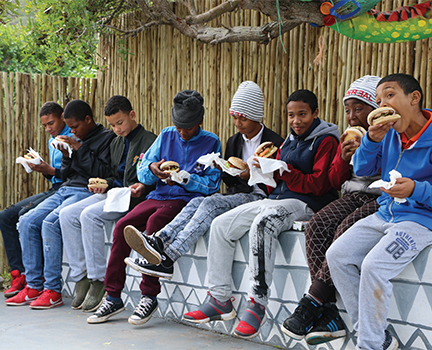 We continuously engage with our loyal suppliers to look at innovative menu items that can be incorporated into our value-added campaigns, while delivering margin for our franchisees. 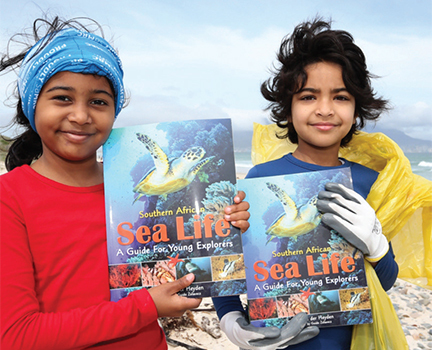 Sustainability remains front of mind and we cemented our relationship with the World Wildlife Fund South Africa and SASSI during the year. With multiple provinces in South Africa facing drought and severe water shortages, we are mindful of our reliance on fresh water and the ocean, and the need to preserve this critical resource. We expanded our participation in clean-up operations on several of the country’s beaches, harbours and lagoons. We have also committed to remove all plastic from our restaurants and have made single-use plastic items our primary focus to reduce our environmental impact. Plastic straws have been replaced with paper straws and all plastic bags and polystyrene takeaway boxes have been discontinued. Only paper boxes and bags are now used. Wooden chopsticks, previously packaged in plastic, are now packaged in paper. All our restaurants boast free Wi-Fi, and 88% have play areas for children. 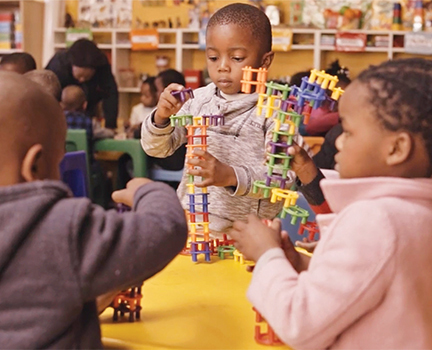 The new-look design introduced into our outlets has been favourably received by franchisees and property owners in South Africa, and will be rolled out nationally. To date, 23 restaurants boast the new look.